Trying out a wall-mounted 1900 telephone! How did a child in the early 1900s live? What did he play with? Was there a bathroom, electricity, a television? 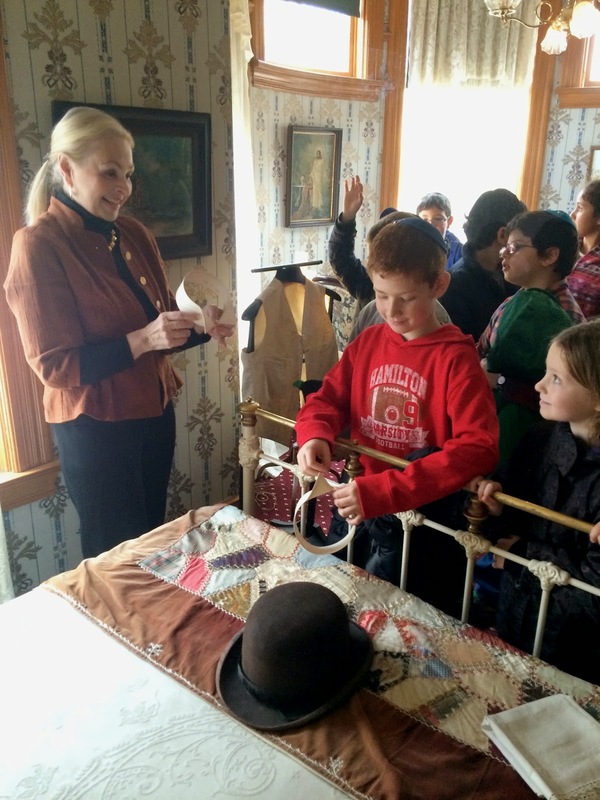 Our 3rd/4th graders were able to experience this first hand during a visit to Ernest Hemingway's Birthplace Home in Oak Park, Illinois, where one of the greatest writers of the 20th century was born and lived until age six. First, the kids gathered in the parlor by the fireplace and listened to guide Lori McCarthy's tales about the Hemingway Family and how life used to be. There were lots of questions; the best: Were the Hemingways Jewish? 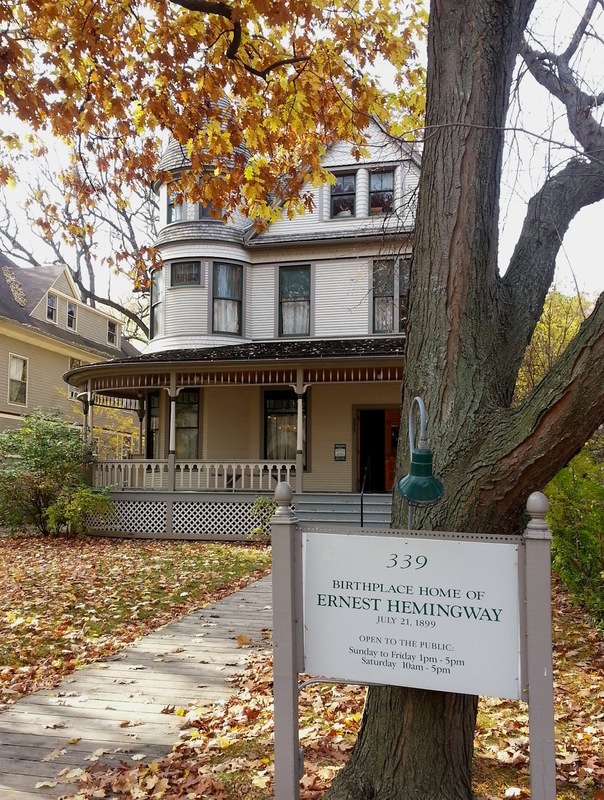 - prompted by the fact that the Hemingway children called their grandfather Ernest Hall, who owned this house, "Abba" (the Hebrew word for father). What a natural question to ask for someone new to Hemingway but well versed in Hebrew! Are those real? Yep, they are! Lori explained that taxidermy was one of Dr. Hemingway's (Ernest's father) hobbies. The library even features two owls that Dr. Hemingway shot and stuffed himself. One student also figured out why some of the chandelier's lamps face upward; they were gas lamps, while the ones facing down had electrical bulbs. This house was the first to get electricity in Oak Park. Also in the library: picture books and song books from the turn of the last century. Trying out a stereoscope! What a cool device that turns any old postcard into a 3-D image. Hands on in the kitchen! And how about the swiveling, built-in stool at the sink? On the second floor, in Abba's turreted bedroom, the verdict was unanimous: Those stiff collars of the past must have been very uncomfortable! Look, there's a computer in this house after all! There is indeed; Annette Gendler's laptop in fact. 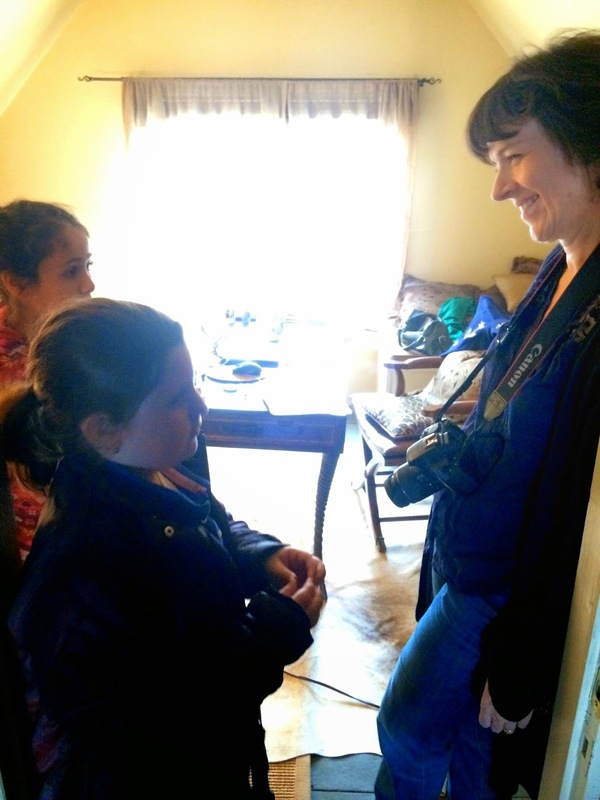 When she's not coordinating communications at Akiba-Schechter, she's the 2014-15 writer-in-residence at the Hemingway House, and she instigated this field trip. It so happened that visiting this house, so lovingly restored to what it was like when Ernest Hemingway was born in 1899, worked perfectly with one class's ongoing study of the 20th century. Annette answers questions about her writing. Way cooler than Annette's attic studio, however, was the drafty attic itself, where some period furniture has congregated over the years, and where we are told Ernest and his sister Marcelline loved to play. The kids even found an old trunk that belonged to Marcelline! Upon returning to their bus, the students complained that the time spent at the Hemingway house (1.5 hours) had been too short. So much for having short attention spans! Want to visit yourself? Check out Annette's short video tour of the Hemingway House, or even better, stop by! 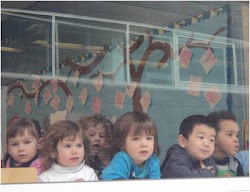 In preparation for their upcoming adventures in exploration, our preschool Explorers class has been learning the art of observation by closely studying one particular spot on the ground. How to isolate an area of study? Use a hula hoop! 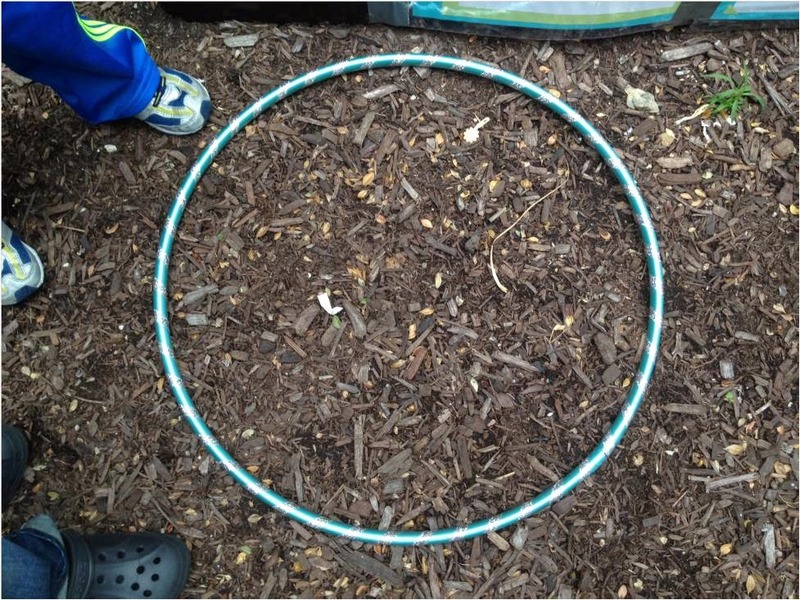 First the children heard about how to use the hula hoop and that they should only observe what they found inside the hoop, and that they should look very carefully. Then it was time to head outside (thankfully it wasn't raining!) 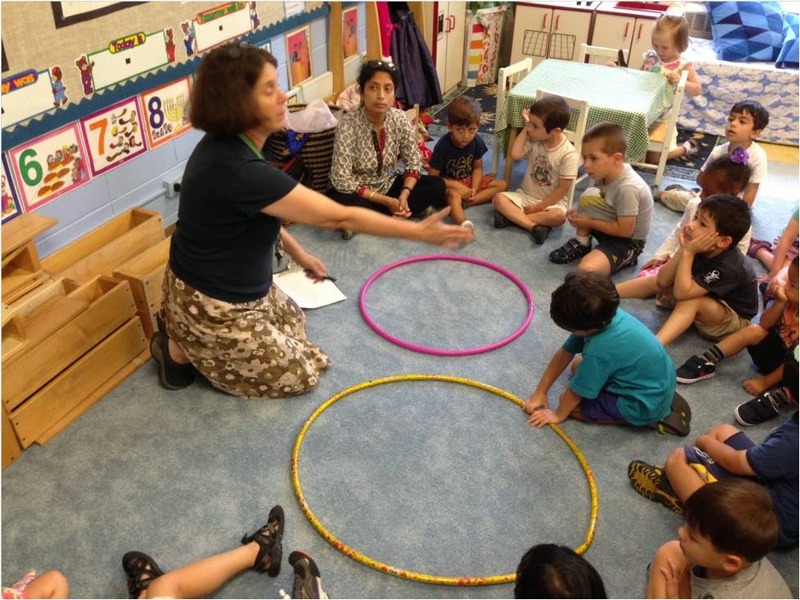 and, with the help of a teacher, write down all the things that they could see in that circle. 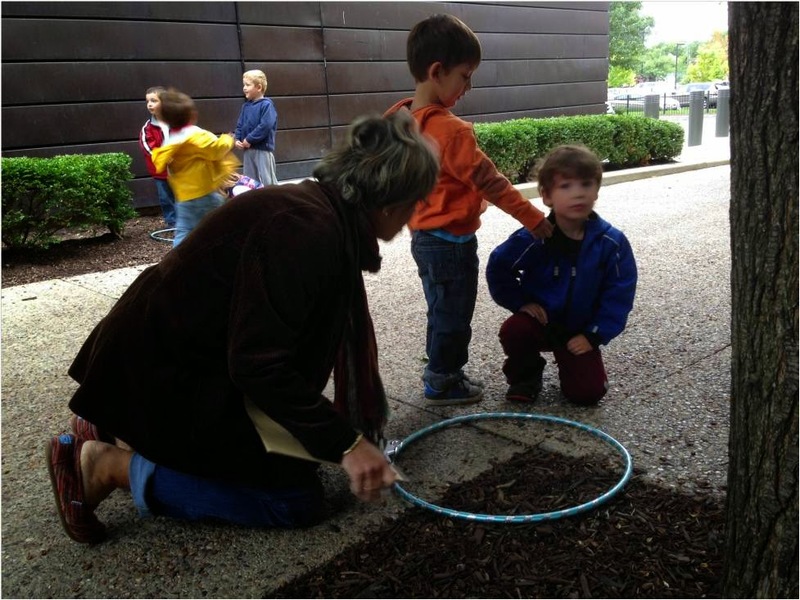 There was the obvious texture of the ground - wood chips, stone tiles, earth - but in addition they found all kinds of stuff, from bugs to barrettes. Now those kids are ready to observe and record all that they find on their upcoming adventures!